There is nothing quite so personal as handmade Christmas ornaments. Whether you hang them from your tree or use them to decorate in other areas of your home, handmade ornaments are truly special. Friends and family members would love to receive a crocheted ornament for any special occasion. 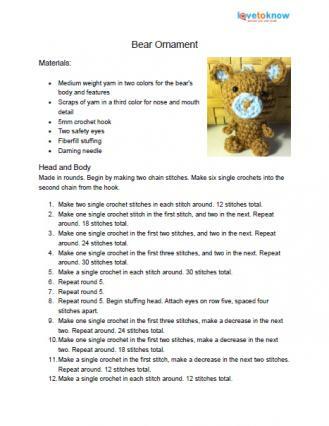 The following patterns are all free to download and print. Click on the image of the pattern you want to open up the .pdf file in a new window or tab. Then you can save the file or print it out. This friendly owl will make anyone smile. He is a little quirky and lots of fun. 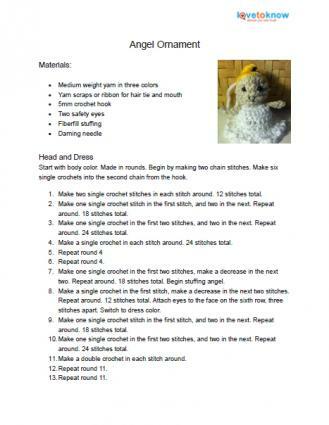 Use green, red, and white yarn for a truly festive ornament. This Christmas angel has golden hair and a sweet smile. 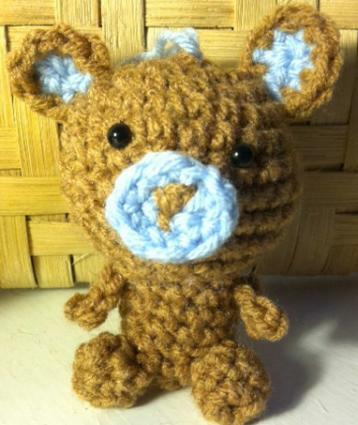 This happy little crochet baby bear is perfect for a youngster's first Christmas. Christmas trees - Two different crochet Christmas tree patterns. Crochet flowers - Stitch up some crochet flowers in Christmas colors. Crochet roses - Beautiful red roses are an elegant addition to any Christmas tree once you add a scrap of yarn for hanging. The great thing about making crocheted Christmas ornaments is that they take very little time and only a few supplies. 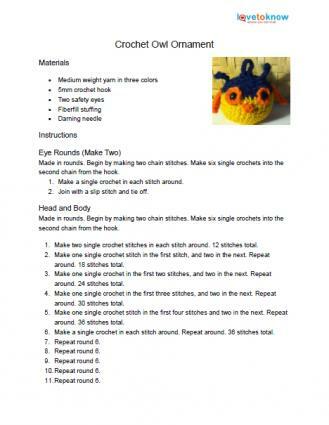 You can even use scrap yarn left over from larger projects. Your friends and family members will love the personal touch that unique and handcrafted ornaments bring to Christmas.